We created a check list for you to get rid of that horrible feeling, and bring peace for your inner self. So here you go! These are the 10 things you should know about Madagascar! Start reading whenever you are ready! First good news! It’s possible for you to get it at Ivato Airport (Antananarivo, the capital city) when you arrive from your international flight! Next good news? The “Touristic visa” is 80 000 Ar (around 25€) if you plan to stay for less than 30 days! 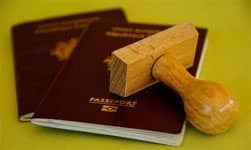 So don’t worry, just bring your passport, but make sure your passport is valid for 6 months after your return date. For those who feel a little bit confused: we’re now talking about the document which allows you to enter and stay in Madagascar as a foreigner, not your visa card from the bank! Yes, we all do that: surfing on the internet to get some information about the diseases which easily spread in the country where we’re going! 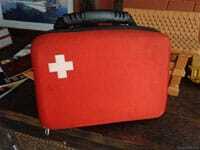 Not out of fear but for your health security we urge you to consult your doctor before your trip to Madagascar, please! Because: first, your doctor will determine whether to prescribe an anti-malaria or not. Second, this medical consultation will also ensure you (and us) that your vaccination is up to date. “Okay… but why do I need to go to the doctor if I already know that I have already been vaccinated?” Well, do it still as he will tell you whether this trip requires new vaccines or not. However, note that no vaccine is required for Madagascar. Here are few rules you will have to follow for your own security! Don’t be afraid of them, once here, you’ll get used to them! Don’t forget we are here for you! Your tour-guide will take care of your safety! • Each traveler will be informed when passing in hazardous areas. So, everyone is called to discretion when traveling in these “unsafe” areas. Therefore we recommend you to walk close to your tour-guide, whose first mission is to ensure the traveler’s well-being and, consequently, his or her safety. • We will be with you most of the time to look after you and your security. Still, please ladies and gentlemen: be careful with your cell phones, jewelry, handbags, passport, and any valuable articles! As said before: you will be notified when it is best to walk “hands in pockets”. 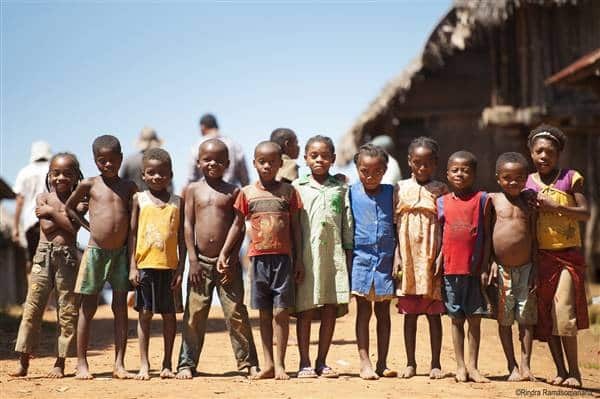 • You may notice that Malagasy people will use words such as “vahiny” or “vazaha”. Have no fear, as the very definition of the Malagasy word vahiny is “invited” or “guest”, and vazaha means “foreigner”! • You will notice, on your way, people will be warm and welcoming. You We also advise you not to give money to beggars and strangers that may come to you. • Ya! We almost forgot the most important thing: get good habits in terms of food and water! Your stomach won’t immediately get used of Malagasy food and water. Therefore, we advise you to drink only bottled mineral water during the entire stay, eat well cooked meat, fish and vegetables. The local currency is the Ariary, its value is flexible. Even ifthe VISA credit card is the most accepted in the country, as it allows you to withdraw cash in the main cities of Madagascar, many places do not accept credit card. For you not to get any pressure, we advise you to keep money in the local currency, especially for your craft cravings throughout the journey as well as for tips. For your information, the exchange for 1 euro on February 15th, 2016 is 3454 ariary. To keep you and your money safe, we strongly recommend you to exchange your currency in the “currency exchange” office at your arrival at the airport, at your hotel or in a bank. 5. Which Season To Come? Come for the austral summer! 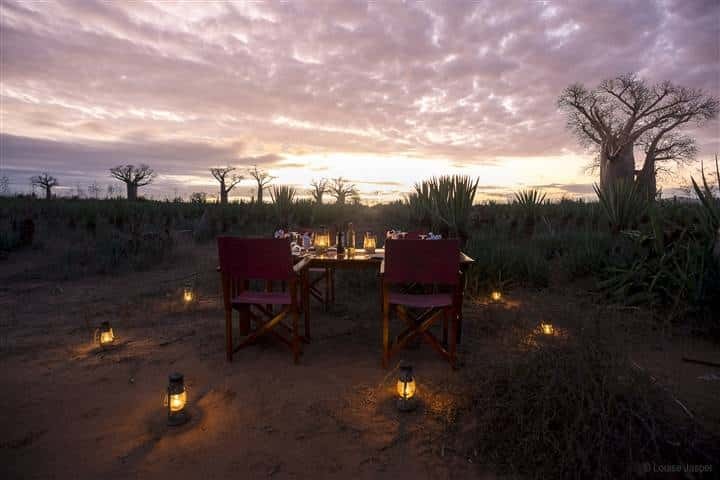 Gorgeous summer: Madagascar will offer you its beauty on a plate! Oh man, November to April is the most beautiful season to come. With the first rain, nature awakes! And what’s beautiful about that? Well, even when it’s raining the climate is dominated by the sun, shining all day long! Is there anyone who doesn’t want sunshine for holidays? Everything in Madagascar delight in its presence: plants put on their most beautiful colors, exotic fruits are everywhere such as mango, papaya, litchi, and so many others! And even the lemurs are dancing! “Sounds so great, but please, which are the best months?” We advise you to come in May and September! You want to know about temperatures? 1. From November to mid-December on the whole country, it is hot and quiet dry. – On the West Coast, Northwest, South and Southwest: 30 to 36 ° C on, that can exceed 40 ° C sometimes. 2. From mid-December to March, it will be hot and humid throughout the territory; some thunderstorms may appear, especially in the late afternoon. Please note that February, March and April are the months of cyclones in Madagascar, let’s be careful. Come for the austral winter! You noticed right: Madagascar only has two distinct seasons! And winter is the second one, known for its lower temperatures! The weather is so nice: sunshine every day and rainy days far away, only seen time to time! What’s great also about winter is that even if it’s sometimes cold (hey, it is winter! 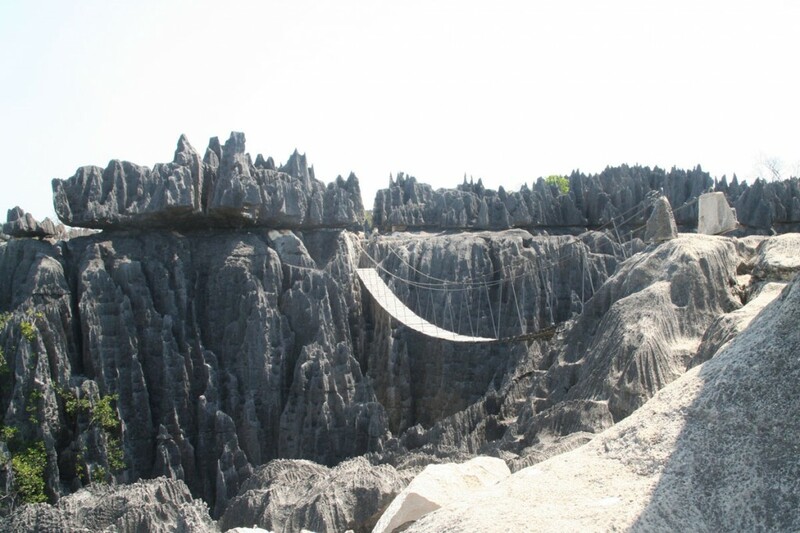 ), the dry weather makes all roads drivable, such as those leading to the Great Tsingy in the South for example! And you can get excited about that, trust us! To add spice to your happiness: whales are waiting for you during this season! A calendar? 1.Starting in June-July-August the weather is generally cool in the Central Highlands (Antananarivo-Antsirabe-Fianarantsoa). During the morning: it can go from below 10 ° C up to 0 ° C in the region of Antsirabe, and -7 ° C in Andringitra. What about mid-day? 18-20°C. 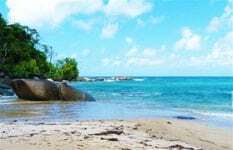 If you come during this season, you will enjoy pretty cool evening: from12 to15 ° C.
2.In the south, it is cool in the morning, especially at the beach: 8-10 ° C. Still it is hot and dry during the day (24-28 ° C), and can be rainy in Fort Dauphin. 3. In the north of the island, it is also hot and dry (24-28 ° C), the weather can be windy when you are at sea (Mitsio archipelago). Yay, adventures! So, bring your jacket and warm clothing because you can encounter mist and fog on the mountains! A piece of advice? Wear warm clothes in the morning and evening, and dress light during the day. 6. What Do I Have To Bring! We are so happy you are coming! For your stay in Madagascar, we invite you to travel with light and easy-to-carry bags. It will be cumbersome for you to take your entire wardrobe for the baggage allowance on domestic flights is about 20 kg maximum.So please, if you plan to have a look during holidays: wear the happiest one! Don’t forget your camera, hat, comfy shoes, and sunscreen! But most of all: bring your family. Let’s have fun together! Delight.Glee.Mirth. BECAUSE YOU HAVE DECIDED TO GO WITH US FOR A TOUR IN MADAGASCAR!! You’ve made a choice and we guarantee you great memories! Isn’t that absolutely amazing? NO STRESS, JUST RELAX: Our drivers are experienced and trained; their rigor and vigilance will give you serenity. To give you some stats, know that drive connections to the sites are a must on average 5 hours a day whether from a big city to join another. To help you, depending on your choice, we will give you the distance in km and the approximate time between each step! Let’s be true: unfortunately, we can’talways guarantee these durations. 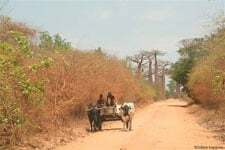 Indeed, roads, for the most part, are worn, often winding.The road network is generally in good condition, but access to sites can include secondary networks and tracks. But yeah: it is part of the adventure! Ask, take breaks as often as necessary unless cons-indication. Enjoy your trip with Encounter Madagascar! You may have heard about that! It’s not time to be afraid of anything! Talk about it with your guide:it is “the” conversation to have with him. 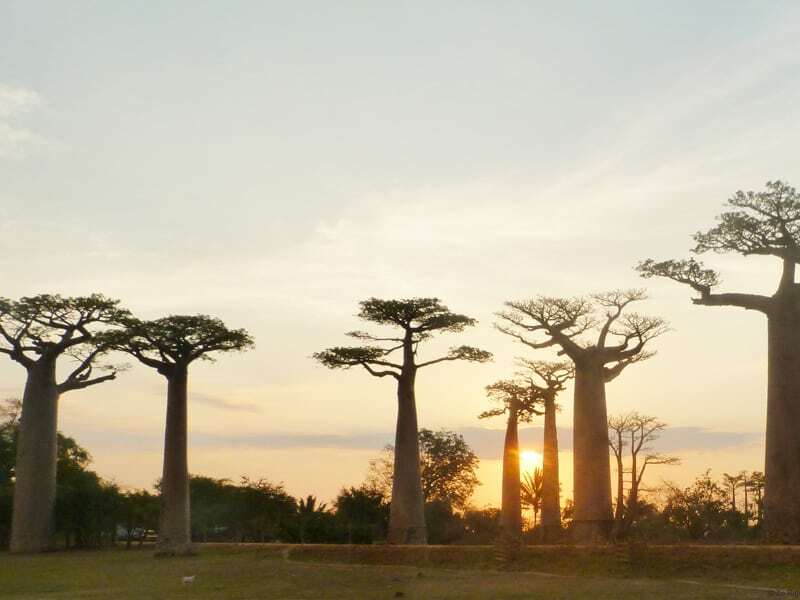 The mystical (but awesome)side of Madagascar is really interesting because, during your tour, customs and taboos will vary as fast as the scenery. We won’t make anthology of all of them here. But like all affirmed faith, everything seems to find its place when it is given by a good speaker. And these are the result of a true oral heritage! 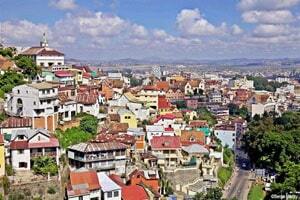 Welcome to Madagascar: the land of the ancestors! 9. How Can I Help, IF I Want To? Think NGO. 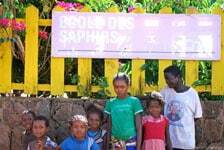 Encounter Madagascar is related to Ecoles du Monde and Bel avenir, both are NGO located in Madagascar! 10. 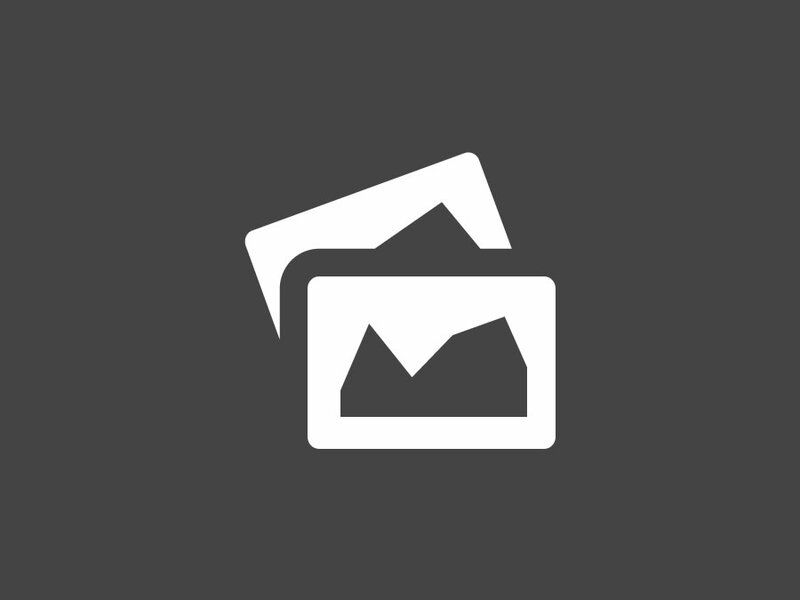 Pictures: Square? Panorama? Selfie? A trip to Madagascar! Is it even possible to forget your camera? We don’t think so! We want you to bring home your most beautiful memories. So anytime: feel free to request photos breaks throughout your tour! Please note however that the administrative buildings cannot be photographed. Malagasy people are very welcoming. Children are very smiling. Still, it is always best to ask permission before taking a pictureof a person with your camera. Last Tips As A Gift For You! Madagascar is unique. Tips we are about to give you concern the taste of Madagascar that you’ll bring home! Be ready to have your family coming with you for your next holidays after these amazing gifts you are about to bring home for them! Madagascar is the land of lemurs!The wildlife experience is such a great privilege. 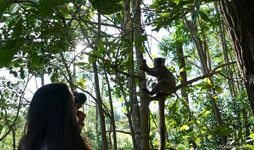 The sad part is that deforestation has destroyed many natural habitats of lemurs: that’s why we suggesttours that are dedicated to them. Encountering lemurs isn’t included in your circuit? If you really want to meet them, we urge you to doit through an excursion to the beautiful Lemur’s Park.Nine species of lemurs live here in freedom, so take as many pictures as possible! The most famous spices in the world are growing in Madagascar: Vanillagrows in the region of the SAVA (Northern East region); Cloves and pepper (even the wild ones) grow in Toamasina region (East region).Surprisingly not usually used in the Malagasy dishes, they are probably the best in the world: spices are our favorite gift as well as wild honey. 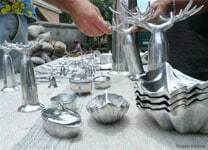 Madagascar is worldly known for its extraordinary way to use and master: embroidery, objects made of aluminum, paintings, mashed papers, raffia products, marquetry and jewelry! These are so typical and beautiful! Wonderful colors and genuinely made! We are sure that some of these items will find a place in your return suitcase. For you not to get surprised: please, before any purchase of precious wood or silver/gold jewelry and other precious stones, explicitly request the seller to getthe authorization for the products to leave the territory. 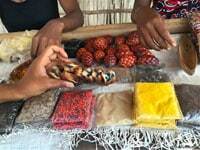 Remember: Bargaining is part of the Malagasy culture! That’s why prices are often negotiable if you shop at craft markets: sellers will not be offended. It is their daily game. So yeah!!! When to go to Madagascar? Whatever the season, nature will always be at the rendezvous. Landscapes are immutable and unique. The sunshine is there to give you lights for beautiful images. Most of the Malagasy people will welcome you with big smile: Madagascar is the place to go to awake your adventurous soul.